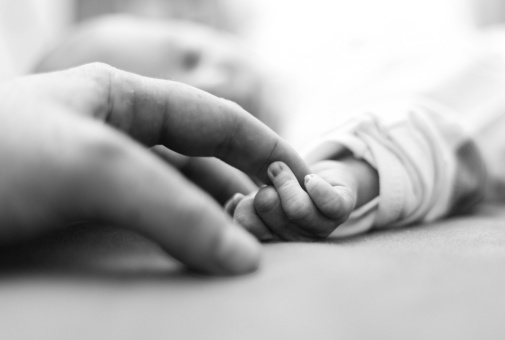 The Ohio birth injury lawyers at Eisbrouch Marsh have dedicated their careers to helping the families of babies who have been harmed by the negligence of healthcare providers during the labor and delivery process. We pride ourselves on offering each and every client an unparalleled level of individualized service and zealous legal representation during what is undoubtedly one of the most trying times of their lives. It is our mission to fight diligently to secure justice for the most vulnerable victims of often-preventable medical mistakes. Few things are more wrenching than watching an infant or child struggle with debilitating injuries, developmental delays and emotional problems resulting from the negligent acts or omissions of the medical professionals in which we place our trust. Adding to the agony of such circumstances is the fear and uncertainty parents inevitably feel with regards to how they will be able to provide the ongoing care and therapy their youngster is sure to need for the remainder of their life. If you find yourself in similar circumstances, we stand ready to thoroughly investigate the facts of your case, determine what went wrong during your child’s birth and do everything in our power to hold the responsible parties accountable. The law limits the time available for filing civil lawsuits of all types, including those for medical malpractice in cases of birth injury. The state of Ohio requires that medical malpractice actions be brought within one year of the date when the cause of action accrues, meaning within one year of the date when the plaintiff discovers the injury. It is worth noting that if a malpractice claimant provides prospective defendants with written notice of an intention to sue within that one-year window, the plaintiff has another 180 days in which to bring their lawsuit. Minor plaintiffs have until their 18th birthday before the one-year statute of limitations begins to run, and the statute of limitations will be tolled for individuals of unsound mind until their disability is no longer in existence. Considering the fact that many serious birth injuries involve profound mental impairment, a substantial extension of a victim’s time to file suit may exist in a given case. Parents in Ohio who wish to file suit for their own injuries, including medical expenses that have been incurred due to their child’s birth injury do not necessarily need to be filed within one year of the event in question, as their claims have been found by the Ohio Supreme Court to be “derivative” of the child’s claim. An experienced Ohio birth injury lawyer at this firm can help guide you through the technicalities and determine the best course of action for preserving your rights and those of your injured child. Economic damages in Ohio birth injury cases are not subject to a cap. Ohio law does impose a cap on non-economic damages in acts and omissions medical malpractice cases, however. The cap limits recovery to the larger amount of $250,000 or three times the economic damages suffered, up to $350,000 per plaintiff and up to $500,000 per occurrence. In cases where a plaintiff has sustained permanent or debilitating deformity, loss of mobility, loss of bodily organ systems or has permanent disability requiring ongoing care, the maximum limits are raised to $500,000 per plaintiff and $1 million per occurrence. Punitive damages are limited to two times compensatory damages awarded, and they are also limited to ten percent of net worth in cases involving small employers or individuals, to a maximum of $350,000. Again, the assistance of seasoned birth injury lawyers can make navigating these caps, rules and technicalities much easier for grief-stricken families, and can help maximize the recovery available. Potential birth injury plaintiffs in Ohio can take comfort in the fact that the state of Ohio has waived any immunity by statute for itself and for all hospitals operated or owned by political subdivisions such as counties and municipal corporations. However, lawsuits against the state must be initiated in the Court of Claims, which can provide some advantage to defendants, and claims must be brought within two years of the time of injury. Political subdivisions cannot be held liable for punitive damages. In birth injury malpractice cases, it is necessary to establish that the medical professionals in question fell below the prevailing standard of care. That means that the healthcare professional failed to give the same standard of care that another provider in the same specialty would have done under similar circumstances. Our extensive network of experts, researchers and investigators has the ability to assemble the evidence, testimony and analysis necessary to prove that the care your child received at birth fell below this critical standard and resulted in severe harm. The law provides birth injury victims and their parents the right to pursue compensation for harm resulting from the negligence of healthcare providers ranging from doctors to nurses to the facilities themselves. Sadly, professional acts and omissions during labor and delivery can produce life-changing, permanent injuries including cerebral palsy, brachial plexus injury, brain damage and other types of debilitating harm. What is worse is that many of the injuries sustained were preventable, and stem from things such as a failure to closely monitor fetal heart rates, a lack of communication among attending medical staff, improper dosing of Pitocin, and failure to call for a Cesarean section in a timely manner when conditions dictated a need. If you believe you may have grounds for bringing a birth injury claim, our team of attorneys is ready to review and assess the facts of your case and help determine whether the harm your child sustained was likely the result of medical negligence. If your child has suffered severe injuries during the labor and delivery process, you likely feel overwhelmed, angry and confused. You may be wondering how you will ever be able to provide the treatment, care and support your child is certain to need. We at Eisbrouch Marsh want you to know that help is available. With over 45 years of litigation experience, our team of birth injury lawyers is prepared to leave no stone unturned as we seek justice and fair compensation for your family. We invite you to contact us to schedule a no-cost, confidential consultation so that we can review the facts of your case and provide a straightforward assessment of your legal options.